I don't think I've mentioned my job much on my blog. 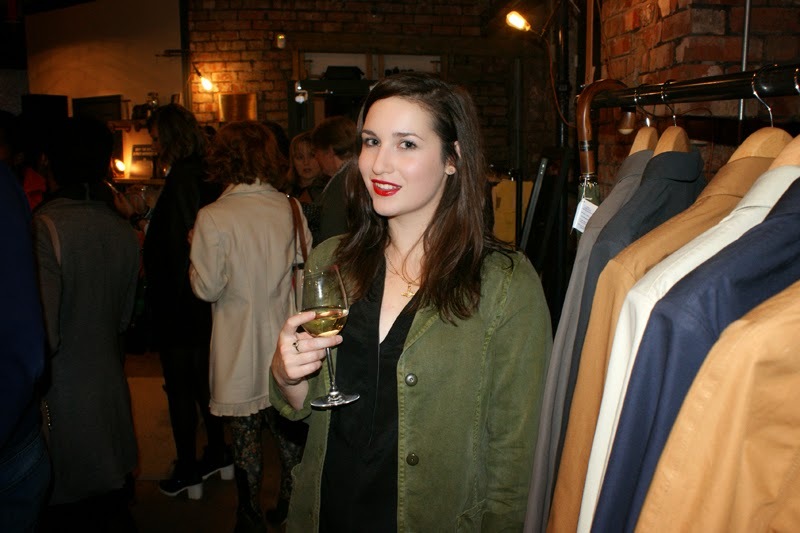 I started my new job back in June as Ecommerce Manager for a Manchester-based brand called Private White V.C. It's a really cool brand with a fantastic story behind it. 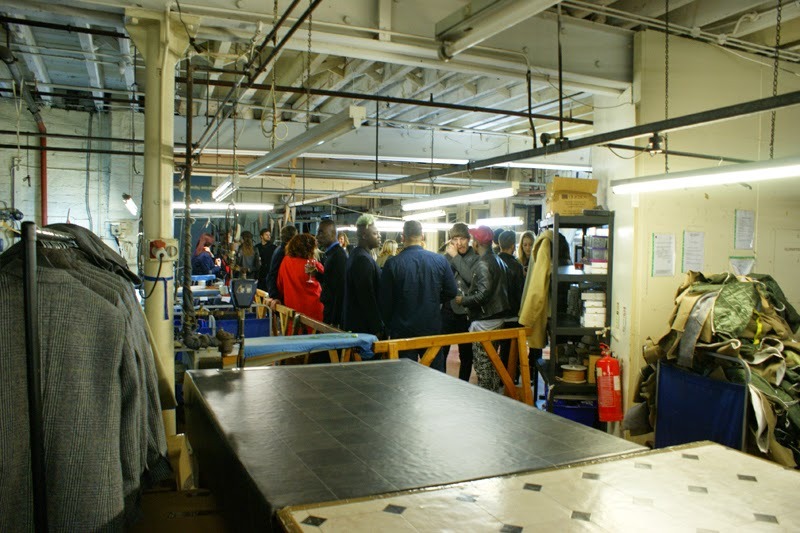 All of the clothing is made at the factory just on the outskirts of the city centre. The factory is an amazing four-floor nineteenth century building, which I get to work in! 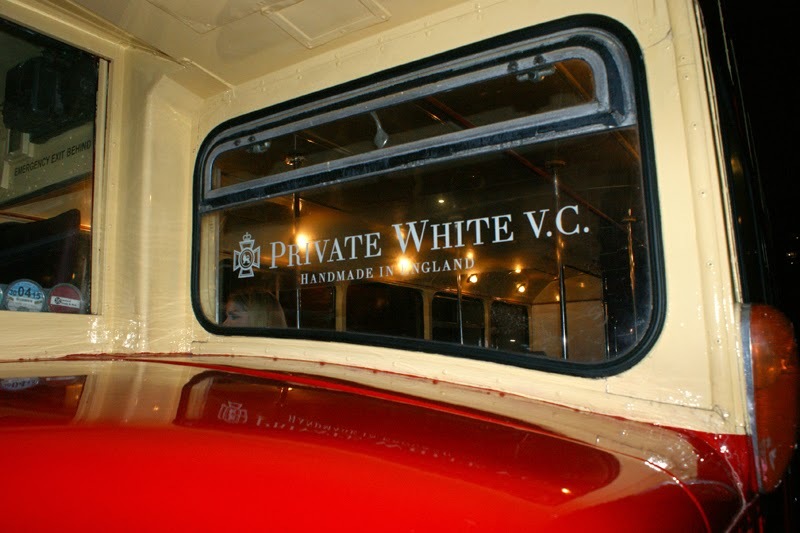 The name Private White V.C. comes from the history of the factory. It was once owned by a Victoria Cross awarded World War One veteran. After returning from the war, Private Jack White began an apprenticeship as a trainee pattern cutter at his local factory. Over time, he rose through the ranks and eventually came to be the owner. After he passed away in 1949, the factory changed hands and has had a handful of different owners since. A few years ago, the opportunity came up for Jack White's own family to once again get involved in the factory and it is now owned and run by his great grandchildren- little could he have known! Learn more about the Private White story, here. It's such a lovely and genuine story. A lot of 'heritage' brands claim to have a grand history but when you look past the marketing, there's not a lot of authenticity to it. Similarly, many of these brands are guilty of proclaiming their English roots but now manufacture abroad; not Private White V.C. We recently opened a beautiful on-site store at the factory (which officially had the red ribbon cut by none other than Princess Anne- yes, I met her!) and decided to hold a party to celebrate. I was largely involved in the organising of the event so I'm really pleased that it was such a success. 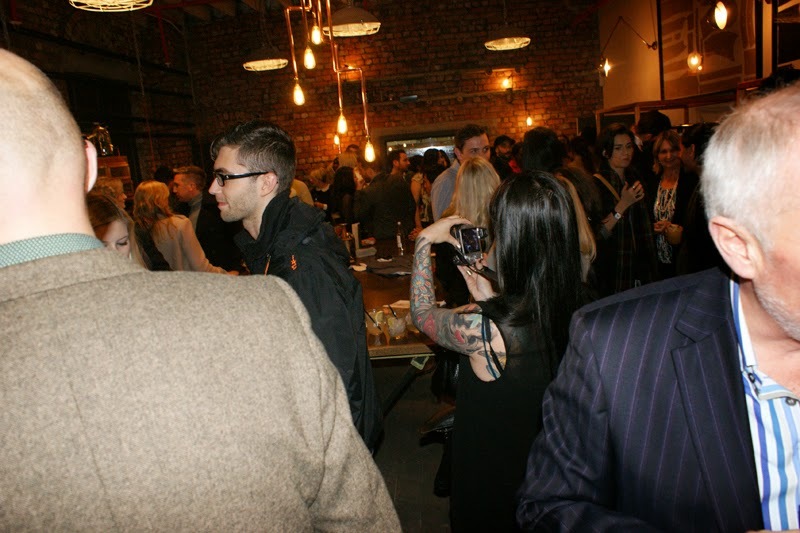 We had a great turn out, including some lovely bloggers, and everyone seemed to enjoy the evening. We decided to hold the event partially in the shop and also on the first floor of the factory which worked out really well. 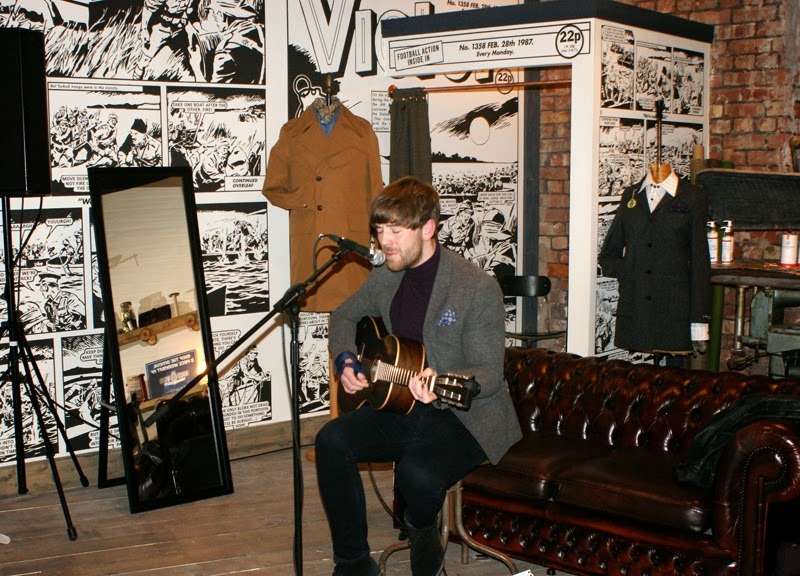 In the store we served cocktails and canapés by Artisan and had a brilliant acoustic singer, Josh Goddard. 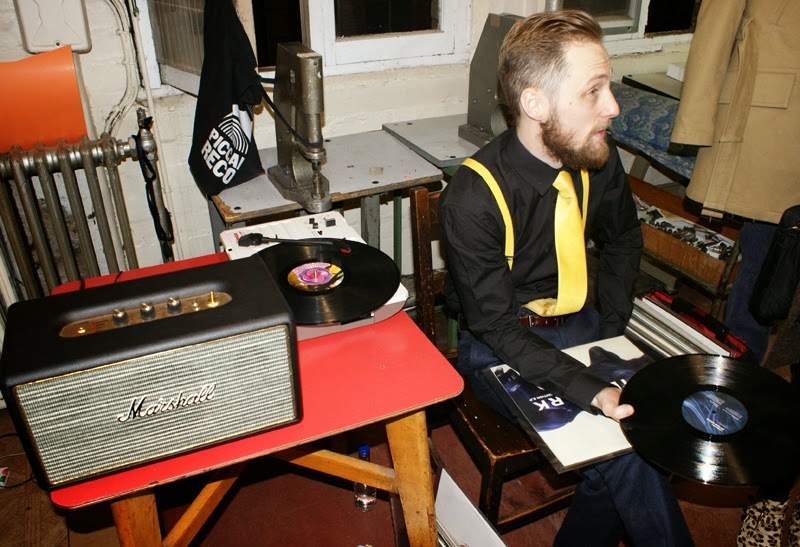 Upstairs on the factory sewing floor, local DJ Pasta Paul played vintage vinyl whilst some of our skilled machinists stayed behind after hours so that our guests could see garments being made before their eyes. 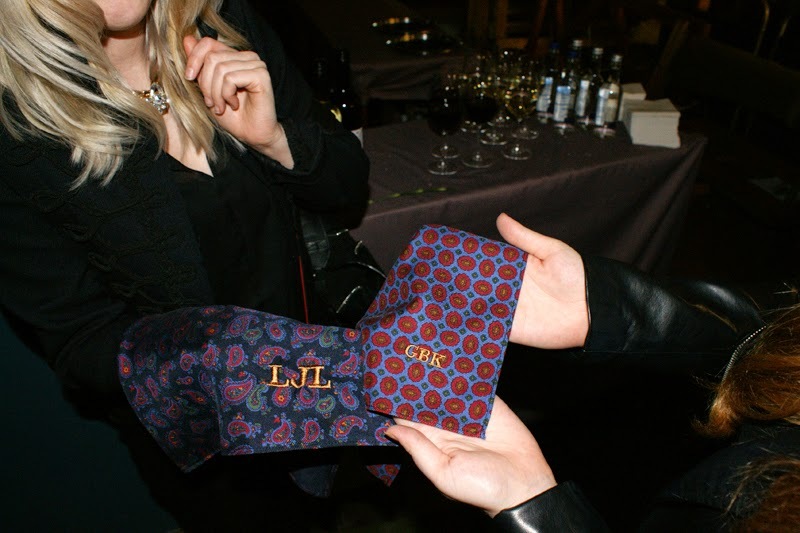 There were also handmade pocket squares and scarves for guests which we were personally monogramming with people's initials. 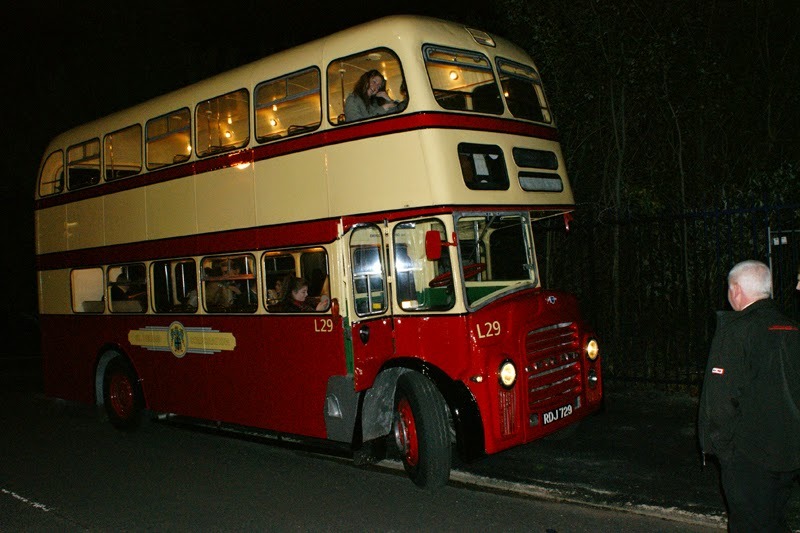 We even had a vintage bus on hand to take our guests back into town. We also managed to get a few celebrities down including Bipolar Sunshine and Darren Jeffries, probably best known for playing O.B. in Hollyoaks a few years ago (I was a bit too excited about that!!!). The brand has just launched a small range of womenswear which we'll be expanding on next season. The prices are in line with designer brands but the clothing really will last a lifetime and well worth a look if you're serious about buying British. If you are local to Manchester, you should definitely come and visit the factory and store. It's amazing to see something like this still in operation in the UK. Tags: Buy British, clothing, factory, Made in Britain, Made in England, Made in UK, Manchester, Private White V.C. Looks like a fun event! 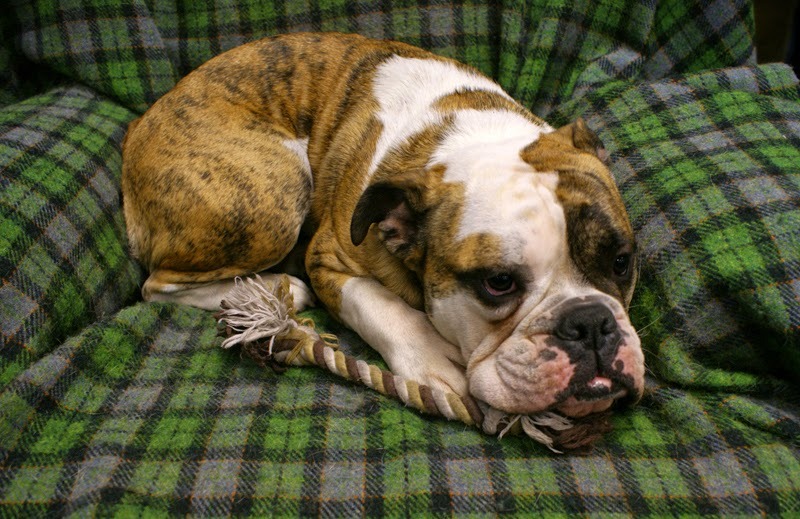 cute dog!